Siliguri: Former footballer Bhaichung Bhutia's announcement that he had quit Trinamul should be a "lesson", several party leaders in north Bengal felt and advocated the need to keep a watch on unattached figures. An "alert" has been flashed to keep tabs on such people, both in the plains and the hills, who have been made office-bearers in various boards and other bodies floated by the state in past couple of years but have not yet joined Trinamul. "Bhaichung Bhutia was handpicked by our party chief and was fielded as the Trinamul candidate in two elections. Even after his defeats, he was made the chairman of the sports board formed for north Bengal," said a senior Trinamul leader from Cooch Behar, adding the party should "learn a lesson" from Bhaichung's decision. "His (Bhaichung's) prolonged absence from the political arena after he lost to Asok Bhattacharya in the 2016 (Assembly polls) and the decision to walk out of the party has affected the party's image," said the Trinamul leader. According to party insiders, some such members include Bangshibadan Burman, general secretary of Greater Cooch Behar Peoples' Association (GCPA) who should be "monitored" to prevent further "loss of face". Burman is the vice-chairman of Rajbanshi Development & Cultural Board and also the Rajbanshi Bhasa Academy. "His name as office-bearer of both the board and the academy was announced by the chief minister. First, he has not joined our party so far. Second, we have noticed some of his recent moves like organising a public meeting under the banner of the GCPA where he has renewed the demand for separate state and has demanded that he be elevated to the chairman's post in the board," said an insider. Observers said the inclusion of Burman and Atul Roy - president of the Kamtapur Progressive Party who is vice-chairman of the Kamtapuri Bhasa Academy - was aimed at galvanising the support of the Rajbanshi community. "With the rural elections ahead, any abrupt move by these people who are not in Trinamul can pose problems for the party. That is why the leaders are on alert," said an observer. Similarly, there are some in the hills who have been included in the development boards, said sources. "Before the panchayat elections, the last thing we want is any major defection or contradictory statements from people in these boards or bodies. It is always better to be vigilant so that if any problem is noticed in any person, the information can be passed on to the leadership for necessary steps," a source said. A section of Trinamul workers in Siliguri pointed to the resignation of Bhaichung to say they are "confused" and urged state leaders to come up with a clear stand. "BJP leaders and workers functioning at different levels have picked up the issue and turned active on social media. They have been putting up several posts, most of them against Trinamul. We have not been able to counter them as our state leaders have not formally acknowledged Bhaichung's resignation," said a youth leader. 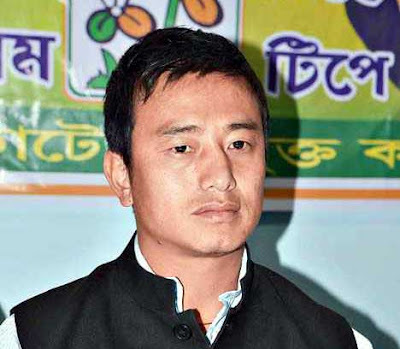 Former footballer Bhaichung Bhutia's announcement that he had quit Trinamul should be a "lesson", several party leaders in north Bengal felt and advocated the need to keep a watch on unattached figures.